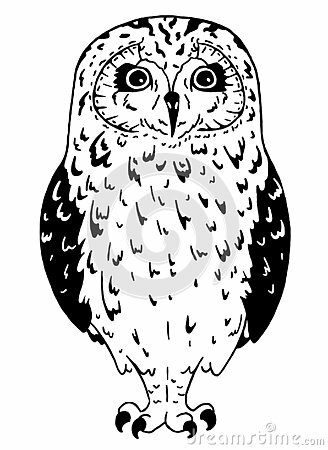 Owl hand drawn, black and white isolated vector illustration. Line art bird drawn in simple style. Cute dinosaur poster. Cartoon dino black background. Vector illustration. Smartphone vector image. Premium quality phone icon. Mandala Intricate Patterns Black and White.